Inking on the Edge: Reverse Confetti...The Color Throwdown # 314 & DS172...Bountiful Blessings! Reverse Confetti...The Color Throwdown # 314 & DS172...Bountiful Blessings! Hey stampin' friends! Well, Thanksgiving has come and passed for us! My Mom and Dad cooked an absolutely delicious Thanksgiving dinner for us with all the trimmings! I also did a little shopping on the Thanksgiving long weekend! Chris and I went to pick up our new kitchen flooring and since we were in the area I just had to stop by One Crazy Stamper and get my Christmas card papers. I fell in love with this Authentique Grateful 6X6 papers and it ended up in my cart too! I thought it was the perfect paper for the fabulous color pallet that Lori selected for this week's Color Throwdown # 314! 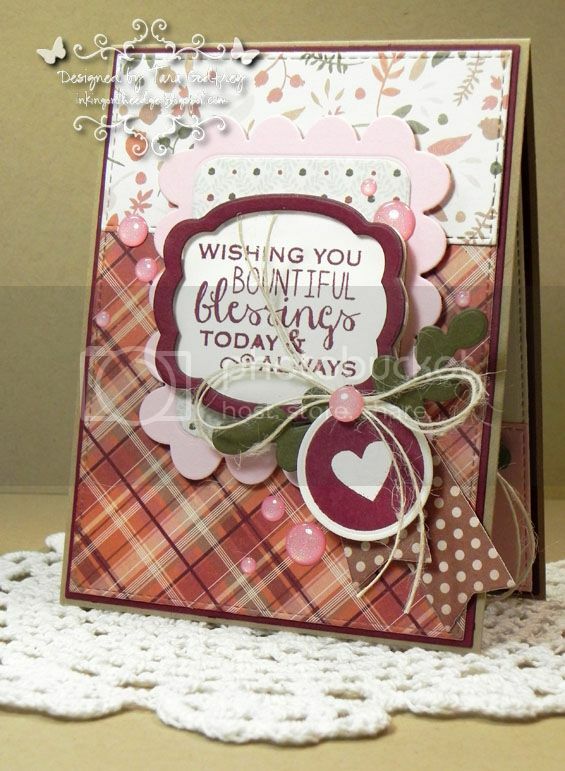 I used MFT Replenishments Heavyweight Card Stock in Kraft, Whip Cream, Paver Red, Pink Lemonade and a little touch of Olive. 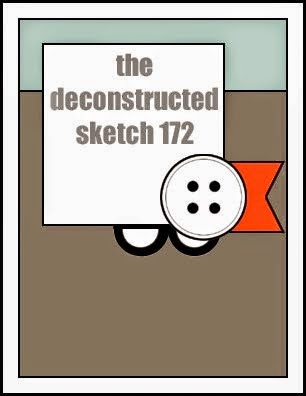 I used this great sketch that they have over at The Deconstructed Sketch - DS172! I made the card-base from Kraft Heavyweight Card Stock and used the Love Note, Class Act and the Give Thanks Label Confetti Cuts. I stamped a sentiment from the Give Thanks Stamp set in Paver Red Premium Dye Ink and I stamped the cute circle heart stamp from the NEW Roundabout Additions Stamp set and cut it out with the Circles 'N Scallops Confetti Cuts. I punched a hole in it to make a little tag and tied it with some cream Hemp twine. I embellished with some pretty YNS Sparkly Pink Gumdrops. I finished off the inside of my card and stamped another sentiment from the Give Thanks Stamp set. 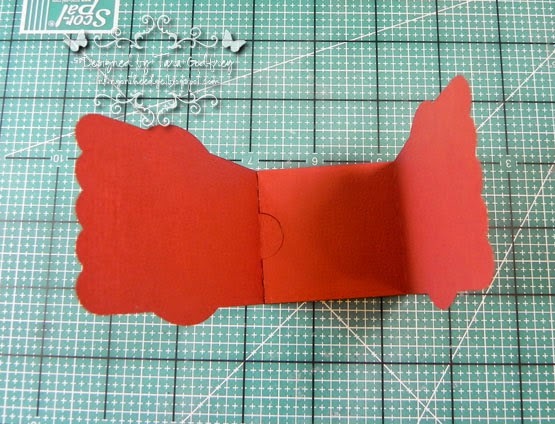 I also made these cute and easy to make, place setting name cards. They are perfect to dress up you holiday table! I used the NEW Envie Wrap and Circle 'N Scallops Confetti Cuts. 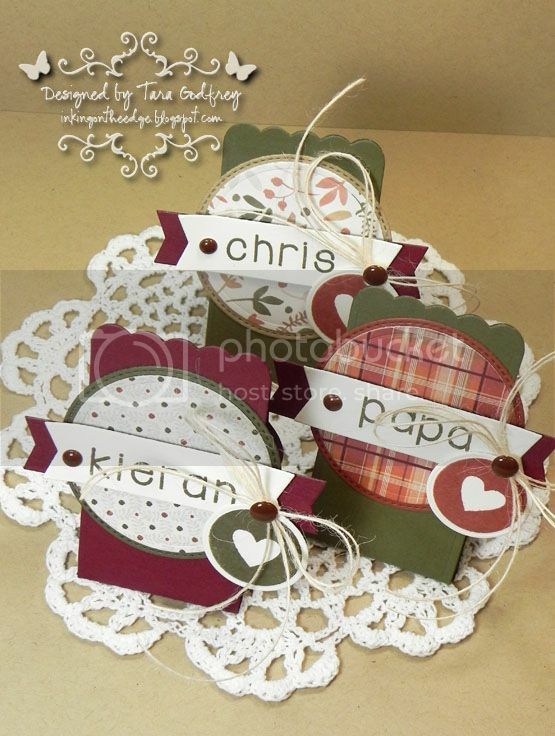 I used the Lighthearted Letters Stamp set to stamp the names of the fishtail labels from Tag Me Confetti Cuts. 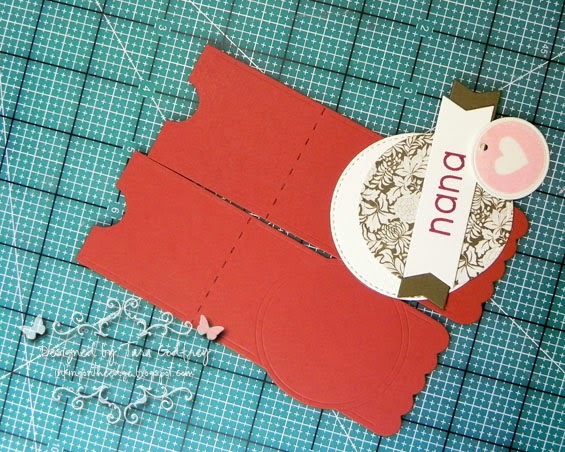 Here is a little step-by-step tutorial on how to assemble the Envie Wrap place setting name card. 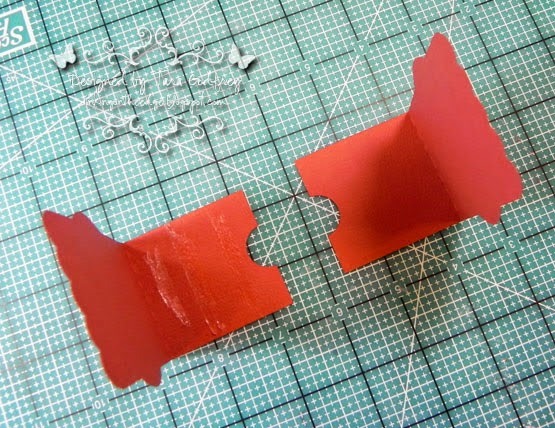 lining up the scalloped edge. Cut pattern paper with the Circle 'N Scallops Confetti Cuts and stamp name with the Lighthearted Letters on the fishtail Label from the Tag Me Confetti Cuts. Thanks SO much for stopping by and havin' a wee peek at my card for this week's Color Throwdown # 314! 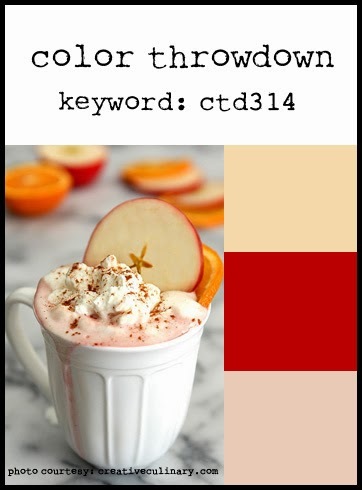 I hope you can join us for this week's Color Throwdown Challenge! I sooo love your take on the sketch and the colors...your projects are absolutely fabulous!!!!! I'm so glad you joined us as our Guest at the CTD!!!! 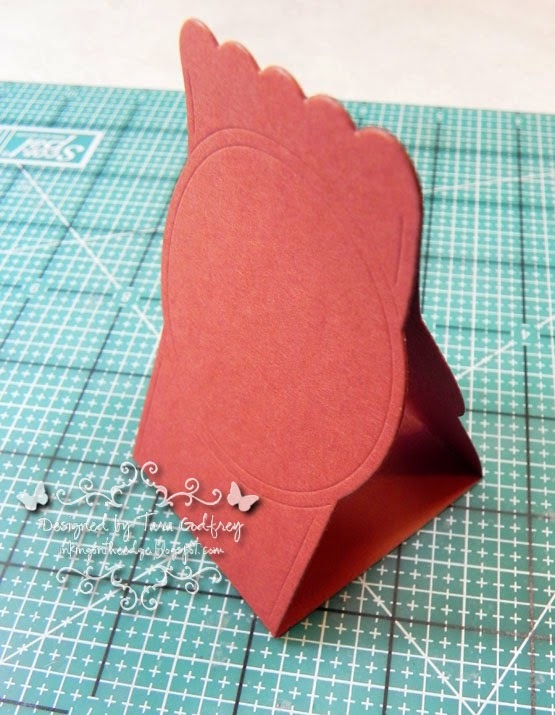 Whoa....what a wonderful card and place settings, and tutorial!! Fabulous Tara! Gorgeous card, Tara, and I just love your place cards!! That Nana one would be perfect for me!! LOL! Beautiful Thanksgiving card! Love the place cards, too! 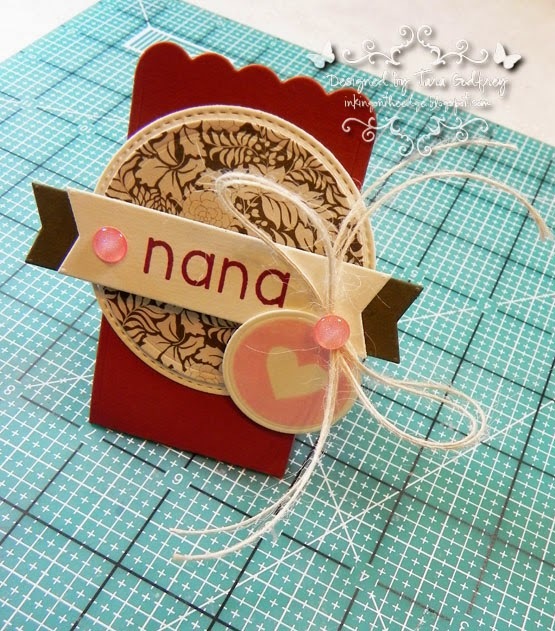 Lovely card and sweet name holders Tara. Love the darker shades you used instead of the soft hues. The layers are amazing. Those candy dots look great! Wow, this card is so gorgeous - inside and out! 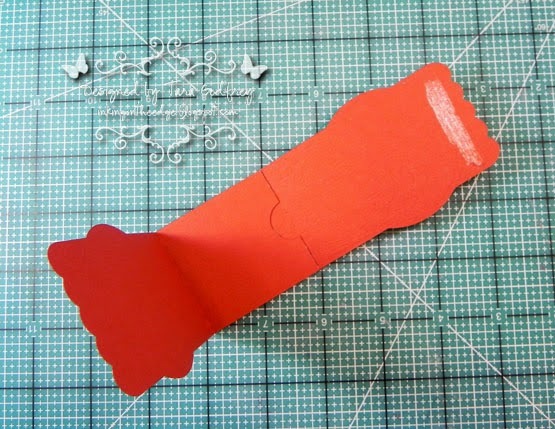 Love your table name cards using the envie wrap die...genius!